This team are coached by John Shaw, JD Carroll and Michael Holohan. The captain is Liam Devaney who hails from Borrisoleigh and vice – captain John Shanahan and pack leader Adam Troy both hail from Thurles. The numbers are very good at this age grade with between 25 to 28 lads in the group. They train two nights a week Tuesday and Thursday from 7.30pm – 9pm. New members are always welcome. This group of lads come from a wide catchment area which include Borrisoleigh, Templemore, Templetuohy, Loughmore – Castleiney, Holycross – Ballycahill, Two – Mile – Borris, Littleton and Thurles town itself just to name a few. This team competes in the East Munster U18 League and Cup. The team got to the League, Cup and Shield semi finals. They are a very dedicated bunch of lads and hope to do well for the season ahead. This group of players have had players selected to go for Munster U17 and U19 trials and three of these players got down to the last thirty. During the year this team traveled over to Bristol on tour and were hosted there by Ashley Down Old Boys RFC. They played excellent rugby while on tour and had a great time. The trip was a great success and proved to be a very beneficial team building exercise. There is brilliant comradely between all the players and also lifelong friendships have been made. The team as a whole were impeccably behaved while on tour and were excellent ambassadors for the club. Thurles U16s come from all around Thurles. The panel is made up of players from Thurles town, Templemore, Borrisoleigh, Holycross, Moyne, Loughmore, Moycarkey,Twomileborris and Templetouhy. The boys come from a wide range of backgrounds and have different skills and abilities. Rugby is a big part of their development as young men. 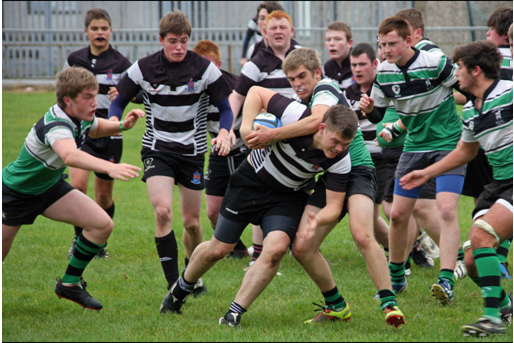 U15s is a feeder age for East Munster and this last year five members of Thurles RFC made the East Munster panel. Conor o Hagan, Michael Ryan, Nick Cooney, Ed o Gorman and Jack Flanagan. Four of these went on to make the development squad Michael Ryan, Nick Cooney, Ed o Gorman and Jack Flanagan. 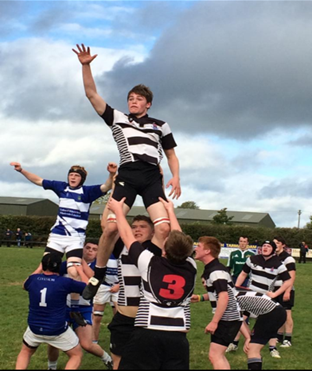 Thurles U16’s had a very successful tour to Wales last April Winning their first match and drawing the second. The boys were very well presented and behaved impeccably. They acted as great ambassadors for their families and Thurles RFC. Our ambitions for this year is to qualify for the Pan Munster Competition and bring silverware back to Thurles Honours. Thurles Girls Youth Rugby has gone from strength to strength in recent years. They have many achievements and accomplishments to their credit under the guiding hand of their coaches they have succeeded in winning Munster 7s League 2012, Munster 15’s League 2012, Tom Fahy Cup 2011, 2012 and 2013 consecutively and the European Town of Sport Cup in 2013. There have also been a number of individual success stories in the last number of years, with the 11 of the girls competing at an inter provincial level for Munster over the last four years: Grainne Fennelly, Emma Byrne, Tanya Dunican, Rebecca Byrne, Katie Longe, Sile Keely, Sarah Sweeney, Aisling Scanlon, Catriona Molumby, Gemma Dunican and Aisling O Hagan. Aisling O Hagan is also the first woman from Thurles Rugby Club to represent Ireland, a phenomenal achievement. Thurles Youth Girls also take great interest in team bonding and building friendships through the medium of rugby and have traveled as a team to various matches in Thomond Park and the Aviva Stadium to support both Munster and Ireland, men and women. The girls currently have a number of new members and are training hard hoping to have another successful season. In the coming year they hope to reclaim as many of their previous titles as possible, in particular the Tom Fahy Cup. Thurles U14 as per their older counter parts in U16’s come from all around Thurles area, a hot bed of GAA which competes for their time particularly around the start of season in September and towards the end in March and April. We encourage the boys to improve their ball skills and maintain fitness through playing soccer and GAA and try to accommodate all codes at this stage of their player development through appropriate scheduling of training and games. This has been beneficial in ensuring we have a strong base level of fitness for all our boys most of whom have been participating in other sports throughout the summer. This we have supplemented with strength and conditioning sessions since early August, customised for boys of this age and customised for the more physical demands of rugby. We have assembled a squad of 25 players for this year with some new arrivals to rugby who have assimilated well to the game supplemented strongly by players from last year’s squad and upcoming U12’s all of which have been with the club since U8’s. We are always looking for new players and players can be accommodated in the squad at any time during the season. The panel is made up of players from Thurles town, Templemore, Borrisoleigh, Ballycahill, Moyne, Loughmore, Drom and Moycarkey. The boys come from a wide range of backgrounds and have different skills and abilities. Our ethos and aims at this level are to develop the boy’s skills but also to develop them as young men at what is a very impressionable age group. The group have won one game and lost one game to date but more importantly have played some very positive attractive rugby and have learned and taken on board the lessons from the training field. 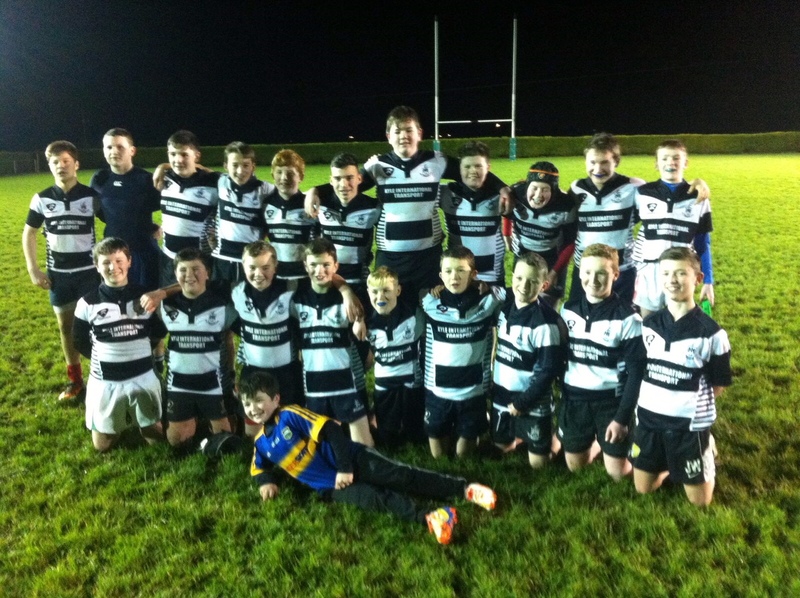 Our ambitions for this year are to maintain improvement and make it to the East Munster U14 league play offs. We will have some strong contenders for inclusion in East Munster development squads next year if some of our older lads maintain their current performance levels through the year. The team is coached by Bill Dwyer, Padraig O’Gorman and Tom Quinlan.